So I have been knitting. I did an entire Featherweight Cardigan in about two and a half months. 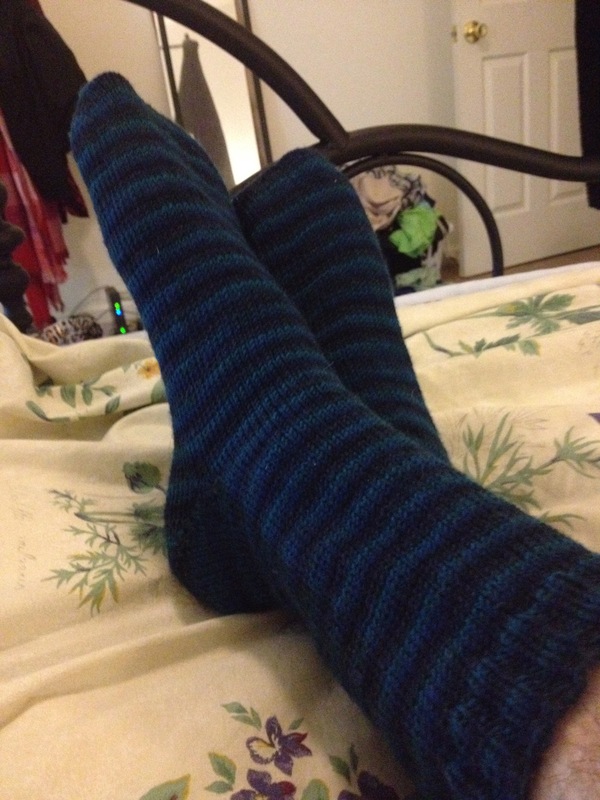 My latest FOs is a pair of socks for Mike, which I finished about a week ago. I knit out of Cherry Tree Hill’s now discontinued striping yarn. I want to say the name was Pacific Ocean? I can’t even remember where I got it. I did just stockinette with a ribbed cuff and they turned out very nice. Toe-up of course. I think they’re his new favorite pair of socks!